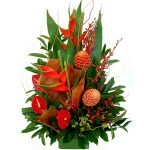 SKU: RF1104. 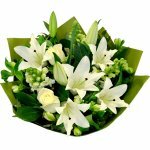 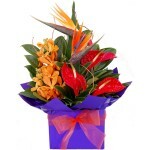 Category: Anniversary, Arrangements, Autumn, Birthday, Christmas, Congratulations, Corporate, Father's Day, For Her, For Him, Get Well, Gifts & Hampers, Mother's Day, Thankyou, Tropical. 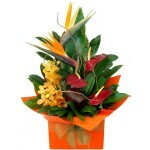 Tags: flowers and chocolates, gift hampers. 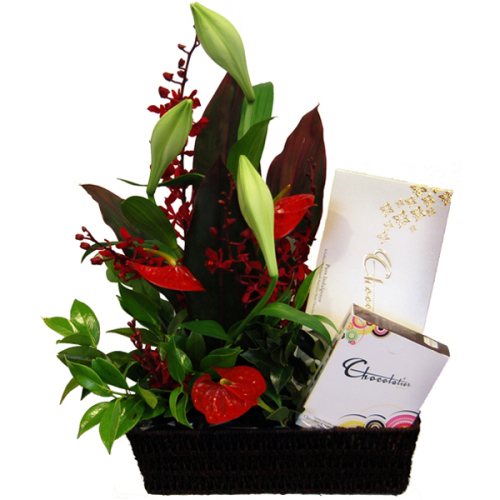 Long lasting tropical blooms and foliage prestented in a woven basket together with two boxes of quality Chocolatier chocolates.